We are happy to welcome visitors and groups to the brewery but we do request that you contact us to arrange your visit prior to arrival as we are a small working brewery! We can accommodate brewery tours around our brewing schedule and are happy to take groups of up to 25 people. 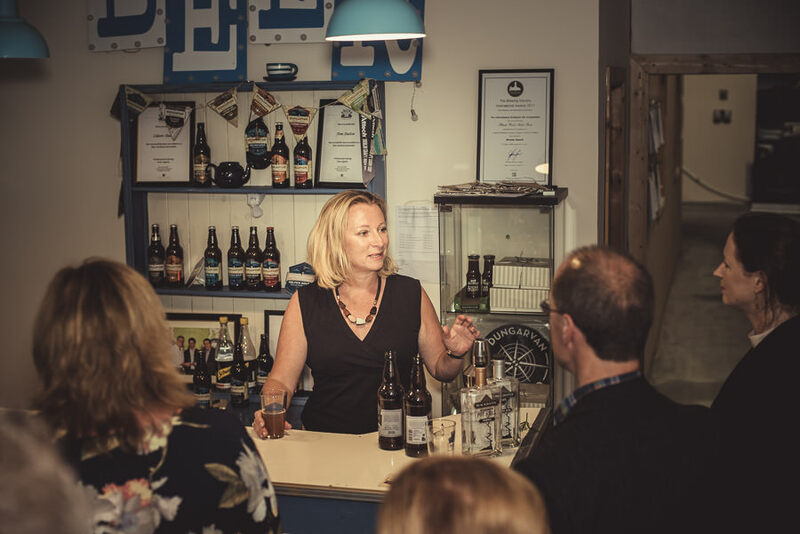 Our Brewery Tour and Tasting consists of a tour of the brewing facility with a talk through ingredients, the brewing process and the traditional brewing method used by us, which is followed up by a tutored tasting of a range of our beers in our tasting area. Group bookings (minimum 10 people) can be arranged for Saturdays, email us to check availability. During the summer months we run Friday evening tours which are open to all. Our annual Summer Series brewery tour and tastings are now open for booking! This year we are pleased to add tours on Wednesdays as well as Fridays starting at 3pm and 5pm. For tours outside of the above times please contact us with your query. We are on the route for the Brewery Hops brewery tours of Ireland – view their schedule of upcoming tours from the Brewery Hops website. Other tour operators, please contact us for pricing and date availability in 2019 and 2020. For groups wishing to visit the Waterford Greenway we can arrange bike and beer tours with The Greenway Man – why not finish your bike trip with a brewery tour and tasting! Contact us to arrange your visit. We continuously offer staff training sessions for bar, restaurant and retail staff. Please contact the brewery if you wish to avail of a training session for your staff. We do not accommodate schools groups but we welcome third level college and university students, along with adult education groups.